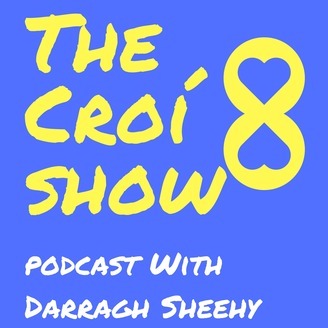 The Croí8 Show is a weekly podcast where I, Darragh Sheehy interview professional creatives and artists in Ireland in person. It's an in-depth interview which gets to the heart of each guests story, how they chose the road less travelled the ups and downs along the way and everything in between. It's an open conversation so that you the listener can understand your own journey in a clearer way and that each interview inspires you to discover your own self-expression. George Karbus, one of the most recognised outdoor photographers in the world joins me for this conversation. He has won some of the top awards in the world for his photographs, including Nature's Best Photography Award, Outdoor Photographer of the Year, British Wildlife Photographer of the Year, Red Bull Illume and Wildlife Photographer of the Year. George describes his work as Wild Ocean photography he has developed an incredible ability in capturing landscapes, water and wildlife around both in Ireland and all around the World. He freedives for each of his underwater shots which requires patience, calmness and a high level of skill in order to create a shot which captures the moment. Most notable in his work is how he develops relationships with animals in order to capture a photograph their behaviour in their natural habitat. One of these being a relationship with a wild dophin off the West Coast of Clare called Dusty or as his family call Malinka (little girl in Czech) which he and his family have swum with for over 12 years and which has produced work which has won some of the top outdoor photography awards in the world. 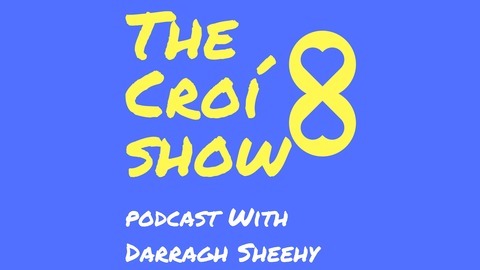 He has created his life around what he loves in nature, photography and family in the West of Ireland, this episode uncovers his journey from his native Czech Republic growing up in communist times to where he is today. Want To Find out more about George and his work? PS: Follow me on Instagram to keep up to date with the Croí8 project including previews for each episode and other resources.